I saw something the other day on TV that was very touching. It showed these young Jewish teenagers living in a concentration camp in Germany in the 1940’s. The Jewish man telling the story said he hadn’t felt hot water or washed his hands in five years. Life was miserable for them in hard labor. One day when the war ended and they were walking down a road they saw American tanks driving through one of their roads. The soldiers stopped to take care of some things, when these young Jewish teens walked up to them to help them. The soldiers saw how these guys were just a bag of bones and one of them handed one teen a can of rations. The Jewish teenage knealt down and kissed the soldiers boots. I couldn’t handle it because the one telling the story, was the teen himself who is now about 80 years old. He said the soldier turned around and asked his comrades to give him more rations for the Jewish teens. These soldiers had nothing else to give, but nothing else was needed. Just a simple gift of rations was needed. These kids had nothing but water and bread to eat for years only if the Germans felt like feeding them that day. 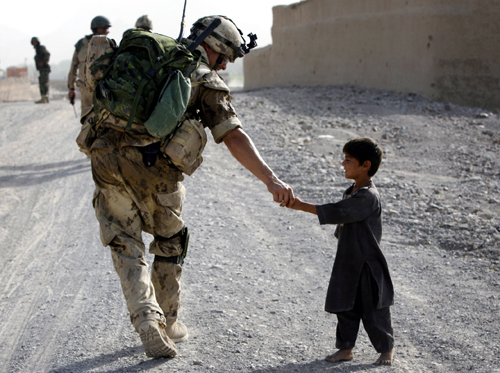 The man said that the encouragement the soldier gave him that day, changed his life. He gave the boy hope. He now lives here in New York and devotes his life to encouraging teens which have a hard life. We will continue on in Titus with what not to do as a wife to blaspheme God’s word. This word “good” in the Greek is AGATHOS’ which means a GOOD BENEFIT. This implies to be a person who lives for the benefit of others and loves to do good deeds. As Jesus was doing His day to day ministry healing and feeding people, He ran into many COMPLICATIONS. Jesus was rejected by His own people, and His family thought he was insane. The Pharisees did every thing they could to INTIMIDATE Him. Needy people pursued him night and day for His attention. Jesus is trying to teach us to be rich in good works and to be ready to benefit someone else’s life. Let’s look at some verses that were being spoken to people who are RICH. I will be taking comments from Rick Renners book “Sparkling Gems from the Greek”. In Timothy, these are good deeds that leave people in a better condition than they were in when you found them. The rich are instructed to work hard at GIVING to the right people. Those who possess a lot of material resources should be elated, thrilled and euphoric about every opportunity they have to give. When you put all the Greek words together, this is what Paul was URGING the rich to do. This is not only for people who have money, this is for all of us. This is not a third world country and that means that we can all CONTRIBUTE to inviting someone over for dinner or taking someone IN NEED for a lunch. Especially do it if it is for your spouse. NOTE: Don’t forget tomorrows post. Daily there is a new post. Hallo Nancy I am doing good . Sarah carey.